Augmented Reality (AR) is ready for business. While massive bets have been placed on both AR and Virtual Reality (VR) technology over the last five years, it is only in the last couple of years that we have seen the emergence of solutions that can begin to start meeting the demands of major enterprises. Visionary companies such as Epson, Microsoft, Vuzix, RealWear, ODG and Toshiba have developed AR hardware that promised to transform the way we work. Perhaps more importantly, AR technology is being adopted by large industrial enterprise customers (such as Porsche) to transform businesses and improve efficiencies to enhance business outcomes. To fully explore what is needed for an AR platform to be truly ready for enterprise, we have developed a new three-part series – of which this is the first part - looking at the 7 signs that an AR platform is ready for use in the enterprise. One of the key benefits AR technology provides to business is that it can offer workers access to all the contextual information, communications tools and data they need – when they need it – within their field of vision and without needing to use their hands. Implementing the right AR platform properly offers the promise of reduced error rates, improved productivity, a safer workplace and greater employee job satisfaction. AR can also help drive improvements in industrial processes – throughout an enterprise and its entire supply chain (or extended enterprise) by making the data generated from use of an AR platform available for analysis and subsequent action. Augmented reality is being used in the enterprise to fix problems by getting access to the best guidance from remote experts and content to solve the problem at hand. Faster access to knowledgeable resources and worker ‘self-service’ is enabled by the use of AR hardware - such as smart glasses – and the right AR platform. AR is also being used to improve efficiencies and reduce error rates in warehouse ‘pick and pack’ scenarios by enabling barcode or QR code scanning using smart glasses. Enterprises are also leveraging AR to conduct inspections in field services, such as in construction and insurance, to improve the speed and accuracy of their work. Given this significant range of use cases, the demand for AR is growing fast – and will accelerate steeply in the coming years according to a recent report from International Data Corporation (IDC). IDC predicts that not only will the market for dedicated AR hardware surpass 10 million units per year by 2021, but the types of AR headsets will evolve – with AR standalone head-mounted displays taking the lion’s share by the market by then. Based on these numbers, it seems clear that enterprises are getting ready to start using AR. 1) Security - A great AR platform needs to provide you with a way to secure the data that will flow through it, whether that data is the content of a video call, a set of proprietary work instructions or data from IoT devices. The security solution could be supplied on-board by the hardware vendor, be a feature of the operating system or be third-party technology that works with your AR productivity software. 2) Ability to scale - You don't want an AR platform that is stuck on a particular make or form factor of smart glasses, smartphones or tablets. To be really useful, your AR platform needs to be able to "scale up" to match the changing needs of your organization and not be limited by fixed numbers of allowed users or supported mobile operating systems. 3) User management - People work in your organization, not machines. You want to have information stored with each user profile that ensures that a given employee gets the information that matches their needs, job role and task - and gets context based on previous work. 4) Integration - Just as no person is an island, you don't want your AR platform to act like one. It needs to integrate appropriately with your existing enterprise infrastructure, tools and device management. 5) Ease of deployment - A great AR platform shouldn't be tough to deploy. You are more likely to have success with something that can deliver real, measurable ROI quickly and easily - and achieve greater adoption by the workforce - if it's as simple as possible to roll out and use. 6) Interaction flexibility - To deliver the best and broadest possible solution for your enterprise, your AR platform should support modes of interaction that match the scenarios faced by your workforce. In many cases, that will mean supporting hands-free interaction using technologies such as gestures, head motion, gaze tracking and voice recognition. 7) Technology partnerships - Who does your AR platform provider work with? To be broadly successful, you want a provider that tightly partners with industry leaders, innovates around standards and can bring the right team to the table when you tackle sometimes complex and thorny integration issues. Now that you have had a peek at our list of the 7 signs to look for in an AR platform provider, we’ll dive into each of them in detail in the second part of our series. 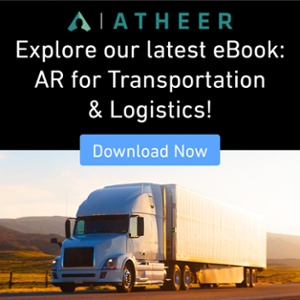 Meanwhile, to look at how AR is making a difference in a specific industry, take a read of our recent eBook on AR for the Automotive Industry.